Interior to exterior, custom to standard, Suffolk County Gutters can help you with all of your door installation needs. Whether it’s a new construction project, a remodel, or a one-door replacement, we are at your service. No project, or door, is too big or too small for us! Is that new barn door calling your name? Is your old sliding door looking for a French facelift? Much like new windows, new exterior doors can help increase the energy efficiency of your home, making them a smart investment. Interior doors can help define a space, adding to the design and decor while updating your home’s appeal. From start to finish, the team at Suffolk County Gutters prides ourselves on superior customer service and professional workmanship. When you work with us you can be sure that you are receiving help from the most knowledgeable and experience team in the New York area. 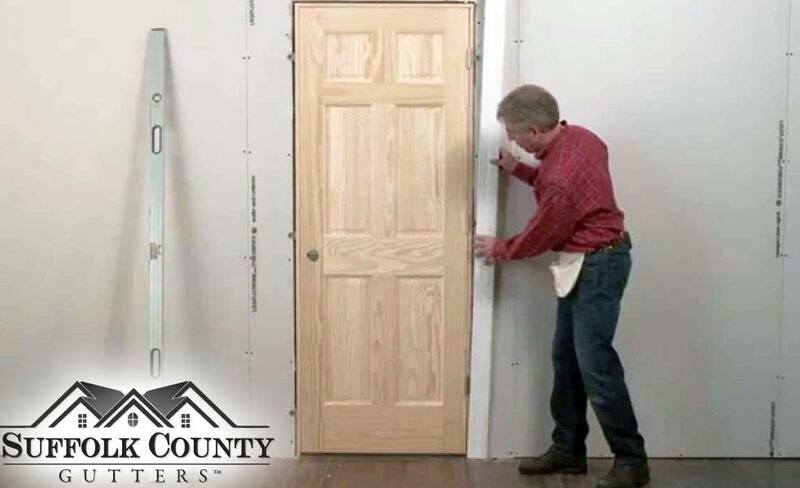 Give us a call today and let us know how we can help you replace and install doors in your home! We’re always happy to provide you with a free consult and estimate.